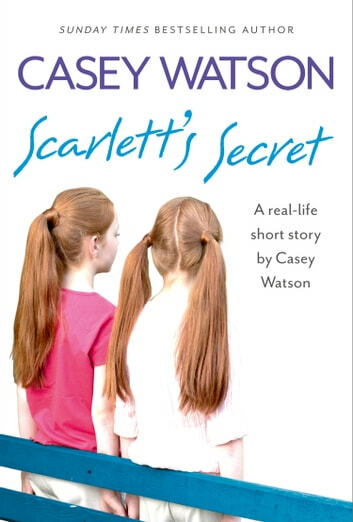 Bestselling author and foster carer Casey Watson tells the shocking and deeply moving true story of two sisters who carry a terrible secret. This is a first taste of the ‘Unit’ series: several stories about ‘difficult’ children Casey helped during her time as a behaviour manager at her local comprehensive. Casey doesn’t know what to expect when seventeen-year-old twins Scarlett and Jade join her class. The girls seem grounded but they never leave each other’s side, although there seems to be an underlying tension between them that Casey can’t quite put her finger on. What’s more, Jade has a strong, unpleasant smell about her that further isolates her from the other teenagers. Eager to help the girls, Casey starts digging and finds out that Jade was pregnant and that the girls were taken into care when they were sixteen. But it’s not until a violent argument during class that Casey truly realises the anger the two girls harbour towards the rest of the world. And when Scarlett finally reveals the truth, it suddenly all makes sense. Can Casey find a way to bring Scarlett and Jade closer together? And can she break down Jade’s walls and get the girls the help they have craved since their childhood? Dark, disturbing and heartbreaking, this is a story of two sisters who just needed someone to believe in them. Very good story. I really enjoy all of your books Casey . Looking forward to your next books . A very disturbing true life story, which Casey tells in her usual empathetic and positive way. I enjoyed this book.